It’s amazing how they packed so much into such a small package. It may be small, but it’s hefty and feels strong. The buttons are easy to find with fumble-fingers yet not so easy that they get pressed while in your pocket when you’re out walking/hiking. The screen is easy to read and bright when you need it to be, and you can even use the transmit LED as a flashlight if you need. They put a great deal of thought into designing this, and implemented the best of those thoughts. Very well put together, nothing loose or out of place. No rattles, and the waterproof seals feel very secure. However, my only real gripe is that the little speaker really struggles if pushed past the halfway mark when you turn it up. Programming it on the radio itself is a little tedious, but I bought the RT Systems cord and software and that made programming a breeze. Because there are so many features, there is a bit of a learning curve, but I’m not taking off for that. It just does SO much, users have a lot to learn. Really outstanding. I’m tx/rx on a repeater that’s 40 miles away with very little degradation of signal. With the attached rubber ducky, I hit that repeater at about 20 miles with a major met city between us. For an HT, I’m impressed. It does pick up some odd signals every now and then, but I think that may be due to how busy the area is so won’t take off for that. The battery lasts FOR EVER!!! Well… maybe not forever, but I usually only need to charge it once a week and it stays on for my commute to and from work every day. I’m still going to get a spare, but very impressive battery life. Not the cheapest HT out there, but for what you get per dollar, you just can’t beat it. … but I AM biased. I highly, HIGHLY, recommend this little guy! Amazing radio in a package that fits in the palm of my small hands. 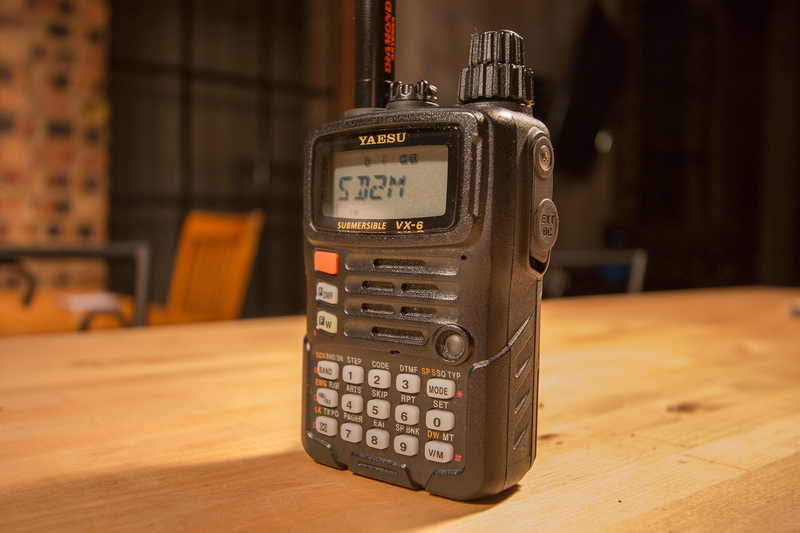 This has become my go-to radio for CERT and emergency response teams. It has been rained on, dropped in puddles, dropped down stairs, kicked by work boots, slammed in a car door, and been shot. … well, ok, not shot, but I bet bullets would bounce off this lil’ guy!!! My opinion remains very high on this radio.